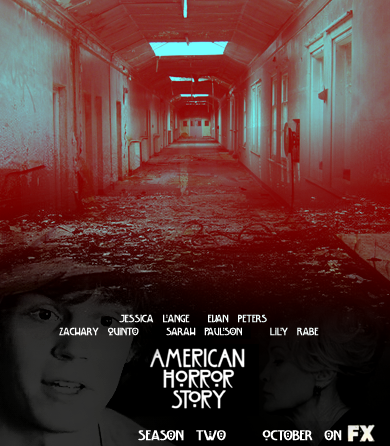 American Horror Story - Season 2 - 팬 made Poster. . Wallpaper and background images in the 아메리칸 호러 스토리 club tagged: american horror story season 2 fan art poster. This 아메리칸 호러 스토리 fan art might contain 기호, 포스터, 텍스트, 칠판, 사인, 서명, 거리, 도시 현장, 도시의 설정, 도시 장면, 도시 설정, 도시 거리, 도시 장면 설정, and 철도 터널.